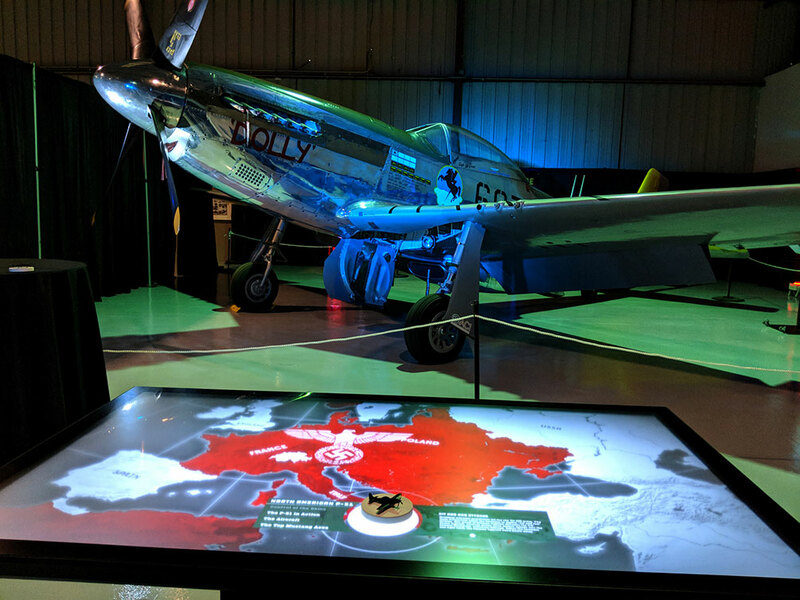 Ideum was honored to collaborate with the Planes of Fame Air Museum in California to design a unique way to explore the history of World War II’s most celebrated aircraft. Planes of Fame is unique among museums dedicated to flight in that the planes in its collection are fully operational; visitors can even book flights in some of these historic warbirds. 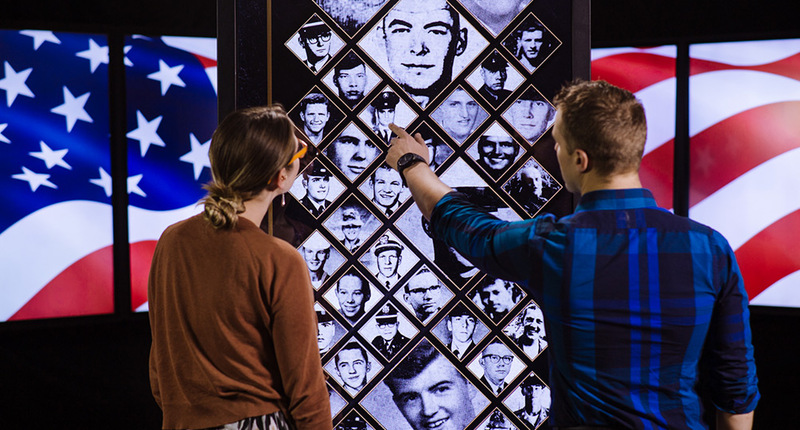 Created for the Museum’s annual fundraising event, the interactive provides an intriguing way to learn about the U.S. strategic bombing effort during World War II. 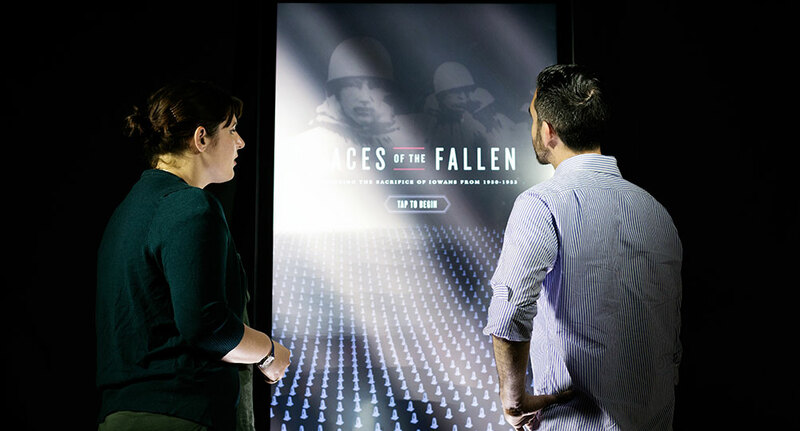 We worked with the Planes of Fame team to create an experience in which the aircraft themselves tell the stories of their campaigns, designs, armaments, and the skilled pilots who flew them. The resulting application provides a unique window into four iconic planes: the B-17 Flying Fortress, the P-38 Lightning, the P-47 Thunderbolt, and the P-51 Mustang, each of which played a specific role during the War. 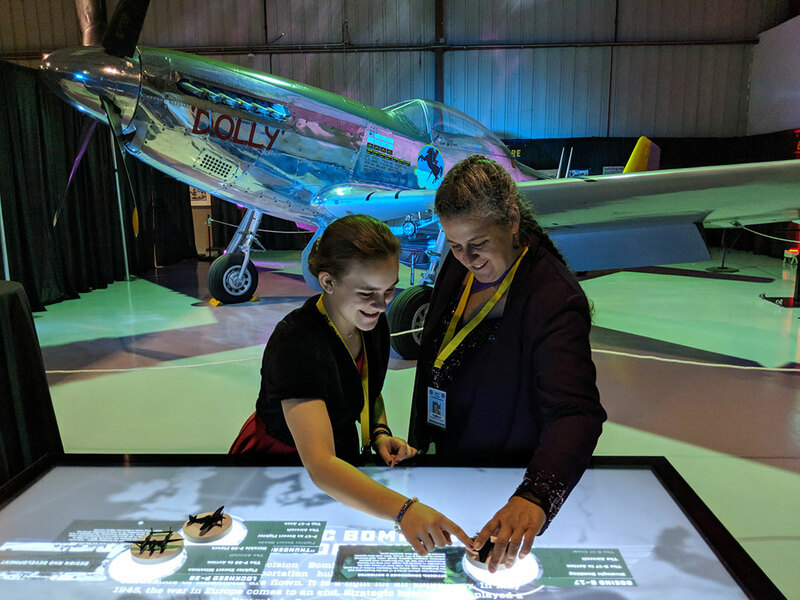 The exhibit was based around Ideum’s Tangible Engine object recognition software, the first authoring software of its kind to work with projected-capacitive touch screens. 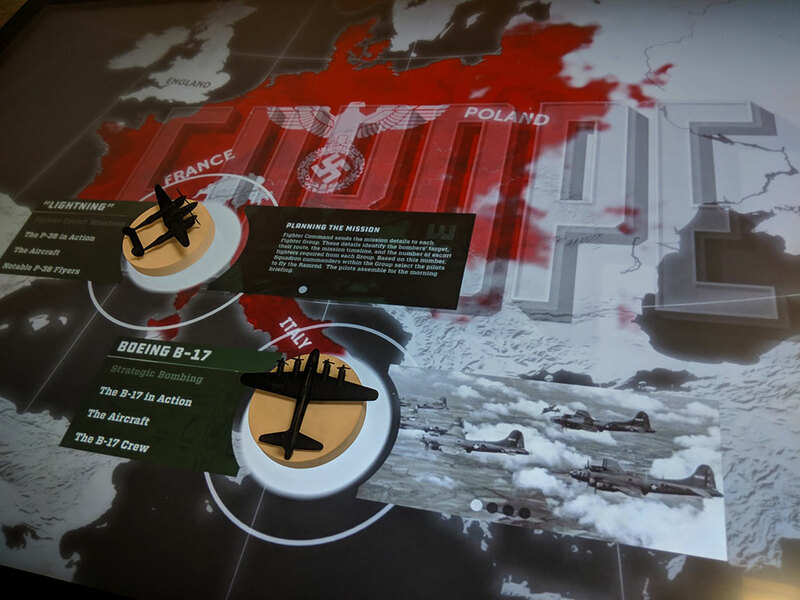 When a specially-designed “totem” displaying a plane model is placed on the table, the conductive pattern on its base activates onscreen information and imagery. We used Ideum’s new Tangible Engine Media Creator to build the interactive. The Media Creator makes it easy for people with little or no programming experience to quickly create engaging and detailed object recognition applications. The Tangible Engine SDK and Media Creator are available for purchase with all Ideum touch tables with 3M projected-capacitive technology. You can learn more about the evolution of tangible-object interfaces in our latest white paper. The exhibit background map illustrates the war in Europe. Placing totems on the table activates information about each plane. Users explore classic aircraft in front of a real P51 Mustang.